You don’t need to do a major renovation or a knockdown-rebuild of an older property to make it feel modern and new again. If any older home is in good condition then it may only need some simple changes to make it feel fresh and more functional. If you’re lucky then you might have some beautifully preserved floorboards hiding underneath old, daggy carpets, which you can simply pull up to reveal what’s underneath. Sometimes what’s found underneath is better left hidden though. If this is the case then a room can still be updated easily by replacing the carpet with new carpet or another type of flooring. A consistent and modern paint scheme throughout a property will provide it with an instant lift. 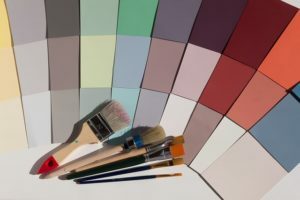 Choosing the right paint colours is important though so make sure you get advice and choose colours that are suited to the heritage of the property and the area it’s located in. You should update any fixture in the property that might give away the age of the property. You might need to get a licensed electrician in to do this for you but you will be surprised at the difference it will make to the overall look and feel of the property. A big problem with a lot of older homes is that the floor plans don’t suit modern living. These days a lot of people would prefer a home with an open plan design for the kitchen and living spaces, and if you are lucky this can be achieved by simply removing a wall. Before removing any walls in your property you should always bring in the professionals to check whether the wall is load bearing or whether it contains any asbestos products, as these will make any wall removal more complicated. People often love older homes for their character and classic features so don’t try to conceal the elements that give your property its unique charm. Some of the most highly coveted properties are those that preserve vintage elements while making way for the new.